Western Toad Migration at Summit Lake getting ready to start. The annual Western Toad migration from Summit Lake to their winter range up the mountainside to the south has begun with the toads staging at the lakeshore. 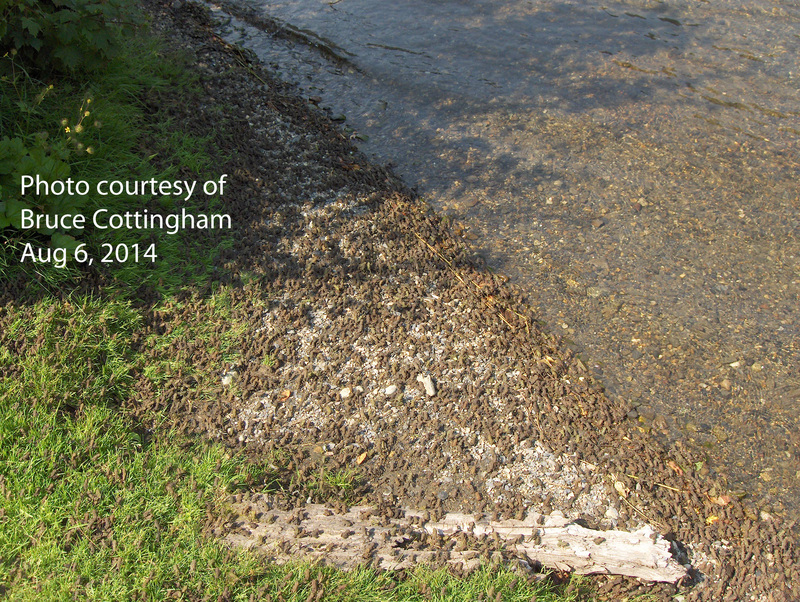 The following is from Bruce Cottingham who was at Summit Lake yesterday, August 6, 2014. It appears that the toadlets are starting to gather in relatively limited numbers at the moment. However, apparently there are large numbers in the lake on their way to the beaches. Biggest gathering noticed was at the Day Park boat launch as per picture attached. Western Toads staging for the migration. Let’s hope for rain when the toads are ready.